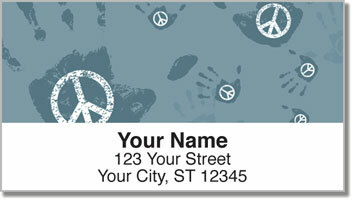 Send a message of peace, love and happiness on every envelope you stick in the mail when you choose these retro-themed return address labels. This design features four unique styles with symbols that let the world know how important it is to overcome the negative and accentuate the positive in life. 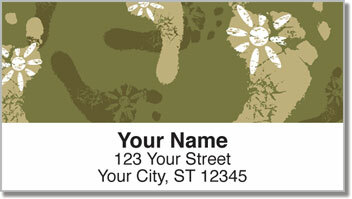 From footprints and flower petals to helping hands and peace signs, Peace and Love Address Labels from Check Advantage will brighten everyone's day. Plus, the easy-to-use stickers save you tons of time! 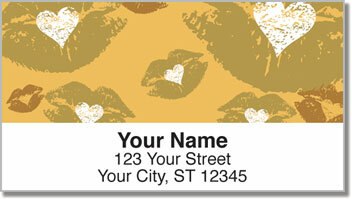 Order your very own Peace and Love Address Labels now! 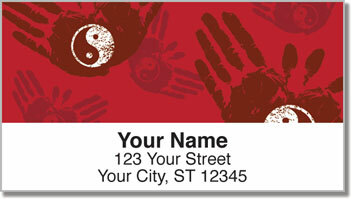 Get matching personal checks in this same hip design and complete your order today!